Brasilia (Agenzia Fides) - During the electoral campaign for the general elections of next October, the Church in Brazil contributes as usual to the civil and democratic education of citizens through publications and audiovisual material, also using new media in the digital world. It is always very attentive to the socio-political situation of the Country. "Let us look at the Brazilian reality with the heart of Pastors, concerned with fully defending the life and dignity of the person, especially the poor and the excluded", the Bishops wrote in their message "Commitment and Hope" disseminated during the General Assembly of the Episcopal Conference (CNBB) last April. According to the Episcopate, the difficult moment that Brazil is going through requires discernment and commitment on behalf of all citizens and institutions, as well as the organizations responsible and promoters of justice and the common good. 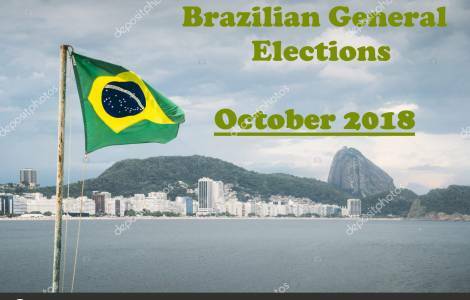 In October the Brazilians will choose, in addition to the President and Vice President of the Republic, also federal and state governors and parliamentarians. In this context, the Regional Episcopal Conference of the state of Paraná has prepared a brochure-booklet in which, in addition to warning about current concerns (ethical crisis, corruption, threats to democracy, polarization ...), explains the electoral mechanism, the task of the elected and the co-responsibility of the electorate in the "public affair" and in the control before, during and after the vote. It is a booklet for voters and candidates, also intended for groups, communities and media, prepared with the support of the CNBB Presidency and the collaboration of the body's consultant for political issues, Fr. Paulo Renato de Campos. The brochure, which is easy to read, also presents the contribution of the Church in the elaboration and approval of the laws "Against electoral corruption" and "Clean criminal record", thanks to which only persons without legal precedents can be presented in the elections. The invitation to the laity to express a greater presence and commitment in public life is also expressed, including among other things some concepts expressed by Pope Francis. The Archbishop of Londrina, His Exc. Mgr. Geremias Steinmetz, explains that the booklet is now a tradition, but this year it will be sent to all the regions of the country. "The aim is to contribute to a more and more formed conscience of the voters and, in this difficult moment, give an orientation - obviously non-party - starting from faith, which helps to choose well, to vote well, to be aware that our vote helps to indicate the direction we want to give to Brazilian society".